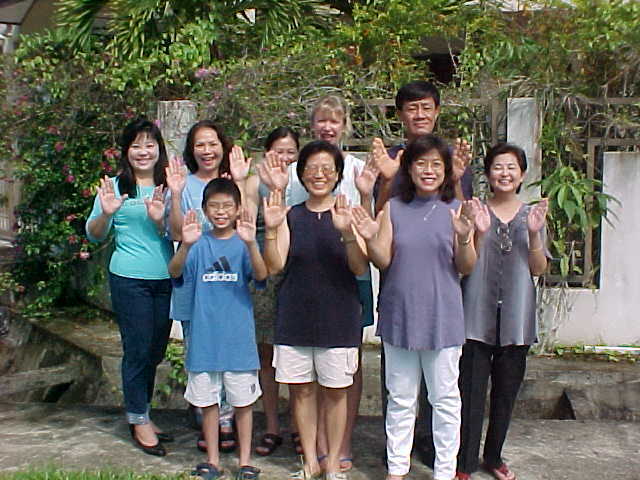 Reiki in Sarawak, Borneo, Malaysia. Reiki knows no boundaries. I have been doing Distant Healing with Reiki since 1989. My father was an alcoholic and was forced to retire early due to an heart attack. My mother was an enabler and co-dependent. She got hurt alot. I knew that if something did not change they would kill each other. I prayed and sent Reiki Distant Healing to them both, asking God to please help them find peace. Through a series of rear end auto accidents, their lives changed. Mother had injuries to her spine and neck. She saw a Physical Therapist who recommended Reiki treatments. Our family doctor wrote a prescription for Reiki treatments and then later yoga classes. Today, Mother is a Usui Reiki and Karuna Reiki Master. I knew my father as a loving man the last 15 years of his life. He was a Usui Reiki Master before he died. During his illness I sent lots of distant Reiki healing. He was diagnosed with Alzheimer's disease six years ago. Up until the end, he had his sense of humor and knew all of us. He also did lots of Reiki on his head. These miracles were accomplished through the power of Distant Healing with Reiki. I am now offering Reiki Distant Healing via the internet. Just sign up for your scheduled half hour appointment. Choose a time when you can relax, be tuned in, and receive. You can even write down what you felt during the session afterwards and just watch for the changes in your health and life. It is $35 for the first session and $88 for three additional sessions. Book your sessions NOW! Page created by Rich Ayrey.